Recognising excellence in the investment and insurance industry, Zurich was rewarded for its strong performance with six awards at this year's IBA Insurance Service Awards. 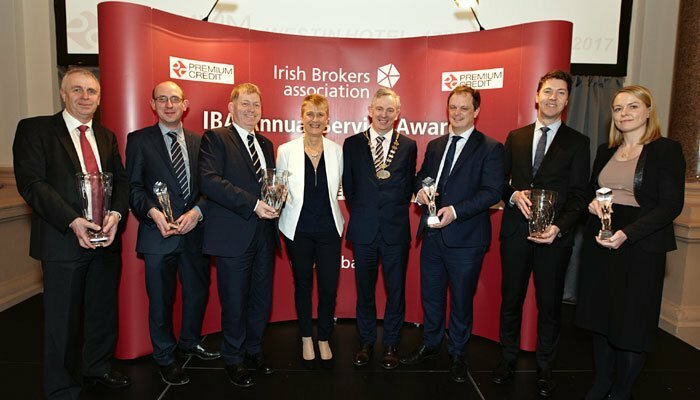 At the 2016 Irish Brokers Association (IBA) Insurance Service Awards which took place on Friday 17th February, Zurich picked up a total of six awards across Life Insurance and General Insurance categories. For a third year in a row, Zurich won the Best Investment Performance award. In the Life Insurance category Zurich also won Best Single Premium Investment Product and Best Single Premium Investment Product. Again for the third year in a row, Zurich won the Most Supportive CPD/Training Programme award in General Insurance. In an extremely competitive category, Zurich picked up the award for Best Household Insurance Product. And the company's commitment to employees and professional development was also recognised by winning the Excellence in Education award.